AbiWord 2.6.8 Works Works ThFabba: Works fine. Drawing issue with the font listbox: CORE-4650. AbiWord 2.9.4 Works Works ThFabba: Works fine except for a couple drawing issues, including CORE-4650. Agat Emulator 1.26.1 Works Works nzeemin: Emalator starts, emulated machine works. Audacity 2.1.1 Works Works karlexceed: Simple playback test with .ogg file works well. Chromium B.S.U. Works Failed Black_Fox: installs & runs, but has problems switching resolutions - the menu stays drawn on top of the game. Worked better in 0.3.17. Click-N-Type Virtual Keyboard 3.03 Works Works Black_Fox: works fine. Effective File Search 6.8.1 Works Works Black_Fox: works fine. It downloads a ZIP file which contains the setup installation. Everything Search Engine 1.3.4.686 Works Works Black_Fox: works fine. Apparently you need to open the File List Editor, add some files/folders, save it and then you open and search it later. Fox Audio Player 0.10.2 Works Works karlexceed: Once audio playback is working in ROS, seems to work well. FreeBASIC 1.04.0 Works Works Nemerian: Installs and works without a hitch. HxD 1.7.7.0 Works Works negativespace: Tested in a VirtualBox VM. Installation works just fine, and so does running HxD. Appears to run flawlessly out of the box. May need more testing, so correct this if HxD encounters any problems. Works karlexceed: Game runs just fine, however audio is not working. Inkscape 0.91 Works Failed negativespace: Tested in a VirtualBox VM. Installation works just fine, an Inkscape process is created on execution, but after 11+ minutes of waiting on my end, the program still has not started. Process maxes out the CPU's workload, so could possibly just be a Virtual Machine issue. Marked as failed for now. K Desktop Environment 1.0.0 Works Works Nemerian: Installed all 207 packages, went flawlessly. Now the applications themselves are a bit of a hit-and-miss when it comes to not crashing, but games and stuff like paint seem to work. Kindle For PC 1.11.2 Works Works nzeemin: Installs well, shows the Library with 3 books, can read books, but online features doesn't work: "Register Kindle" window is blank, white, cannot connect. K-Meleon 75.0 Works Works Nemerian: Installs, works, all buttons toggleable, no problem. did a search on duckduckgo, success. LibreCAD 2.0.7 Works Works ThFabba: Works great. Microsoft .Net Framework 1.1 Redistributable Package Failed Not tested nzeemin: "setup has ended prematurely"
Microsoft Excel Viewer 2007 Works Template:Run wo Result reactosfanboy: installs & starts fine, can open/show xls, many graphical glitches -> "Run wo result"
Microsoft Visual C++ 2010 Redistributable SP1 Works Works Nemerian: No problems encountered. Microsoft Visual C++ 2013 Redistributable Works Works Nemerian: No problems encountered. Microsoft Word Viewer 2003 Works Failed Nemerian: Installs just fine, but when i open something, it's blank, and if i use open file, it slow the VM to a crawl. mIRC 7.43 Works Works ThFabba: Works great. Mozilla Thunderbird 38.1.0 Works Failed Nemerian: Works just fine when started, but trying to add an e-mail account, it crashes, and the crash reporting program makes the VM freeze, which kinda defeats the purpose of both of those. PeaZip 5.9.0 Works Works ThFabba: GUI has control placement issues, works fine otherwise. Pidgin 2.10.11 Works Works henrytang5247: Installer and application worked, but add account and chat were not tested yet. ReactOS Build Environment 2.1.3 Works Failed ThFabba: SVN stuff works fine, configure sometimes works, but failed for me with a MEMORY_MANAGEMENT bugcheck. Building ROS on ROS tracked in CORE-4937. ReMooD 0.8a Works Works karlexceed: Works well! Rocks'n'Diamonds 3.3.1.2 Works Works karlexceed: Works well. Samba TNG 0.5-RC1 Works Works Pi_User5: I was able to connect to a remote share and copy files. Shed 1.0 Works Works Works well. Steam (by Valve) Works Works Julius: installation is done fine. Auto-update is'nt drawn well on the screen but complete successfully. Program runs : I was able to login and see friends online. But I was unable to use market and community pages. Installation of steam games works fine, but almost every game fails to start once its installation was completed. Total Commander 8.51a Works Works reactosfanboy: Installer and app works great. Small issue with fonts in drive selection being displayed slightly shifted downwards. Works The files extracted properly and the theme applied properly. WinDirStat 1.1.2 Works Works Fulup : runs fine. Adobe Reader 7.1.0 Works Works Black_Fox: installs and runs fine. Adobe Reader XI Failed Works Black_Fox: Cannot be installed normally: CORE-8550. Using the workaround from the ticket it's installable and runs. 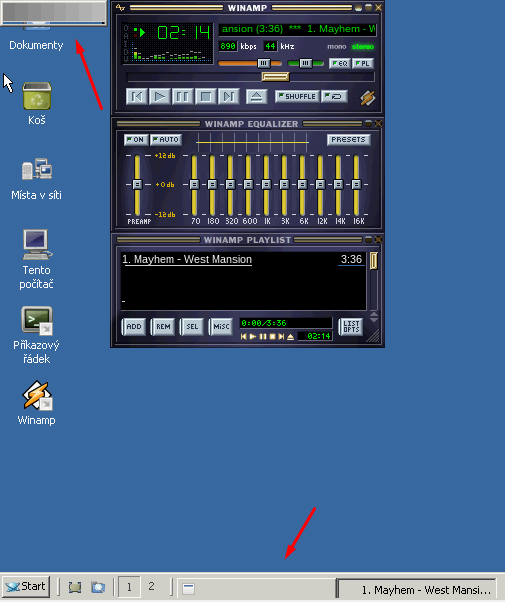 Audacity 2.0.5 Works Failed negativespace: Tested in a VirtualBox VM. Throws a C++ runtime error on startup, then a "failed to initiate properly" error, before terminating the program entirely. CCleaner 5.18.5607 Works Works Installs fine. Runs fine. No noticeable issues other than some visual distortion when using the "Analyze" and "Run Cleaner" processes. Still completely usable though. Diablo 1 Retail Works Works Black_Fox: Installs and runs fine. Just like the demo suffers somewhat from fullscreen issues CORE-10700, palette issues CORE-10738, throws exception on exit CORE-10739. Download Master v. 5.5.8.1151 Works Works Vort: Succesfully downloaded file from iso.reactos.org. Minor bug: can't close program with Alt+F4, File->Exit works fine. Far Manager v3.0 build 4455 x86 Works Works nzeemin: Works with some minor issues, e.g. some plugins failed to work, see CORE-10618. Google Earth 7.0.3.8542 Failed Not tested nzeemin: Installer failed: "Unable to connect to the Internet. If you use a firewall, please whitelist GoogleUpdate.exe." Inkscape 0.48.5 Works Works Vort: Opened ReactOS_logo.svg without a problems. Java Runtime Environment (JRE) 7u51 Works Failed nitesico: for me java 7u51 works (setup). I test Minecraft Launcher and it works but there are some bugs of OpenGL.. when there is the splash screen of minecraft, ReactOS crashes... EDIT: There is a big bug, after install java and restart the system, ReactOS can't find Java and launcher says: "This application requires a Java Runtime Environment 1.7"
LibreOffice 5.0.3.2 Works Run w/o result Black_Fox: Takes several minutes to start up. Then it takes tens of seconds for the first text to appear. Doing anything will probably crash the app. Mozilla Firefox 2.0.0.20 Works Works Black_Fox: CORE-8647 still applies, not fixed. Mozilla Firefox 43.0.1 (=>4) Works Works Installed without problem, went to Youtube and had a random video playing with ads overlays. I then updated to 43.0.4, worked after a reboot. Unreal Commander 2.02 Works Works Black_Fox: works fine, including maximization. Winamp Lite v5.63 Works Works Black_Fox: There is a second anonymous window (screenshot copied from 0.3.17 page), but it's only cosmetic. Yahoo messenger 11.5 Failed Not tested Nemerian: Installer works until the actual installation segment, then it just stops. Iceweasel4Windows Works Works fastcom: Works good,installs fine. VMware Workstation 10.0.7 Works mmue: During installation of vmware tools Framedyn error messages occure. Graphics and mouse integration work after reboot. VMware Workstation Player 12.0.1 Works ThFabba: Framedyn error messages during installation, but completes fine. Graphics and mouse integration working smoothly after reboot. Sound drivers cause a delay when starting applications (CORE-9986). This page was last edited on 17 February 2019, at 16:38.